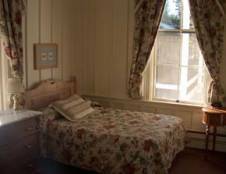 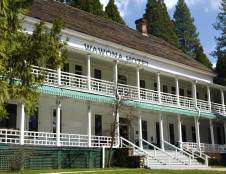 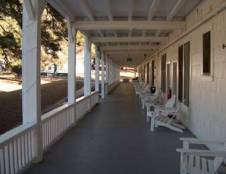 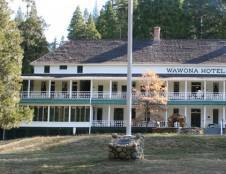 The historic Big Trees Lodge (formerly Wawona Hotel) was first established in 1856 and has an enduring legacy of providing luxury and entertainment to all who stay at this original Californian mountain resort hotel. 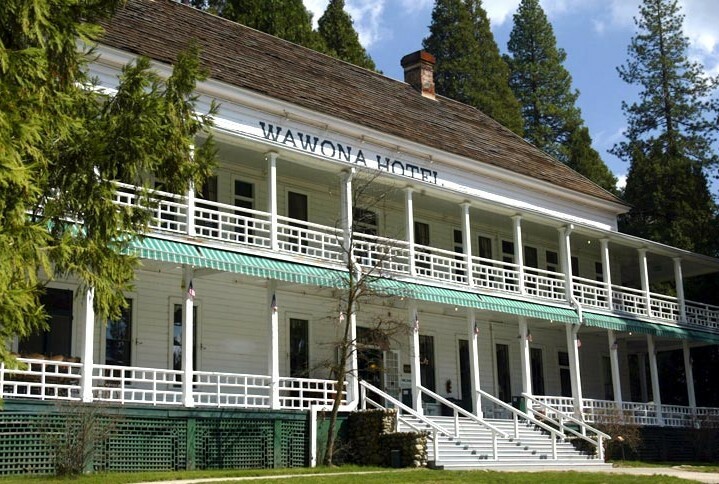 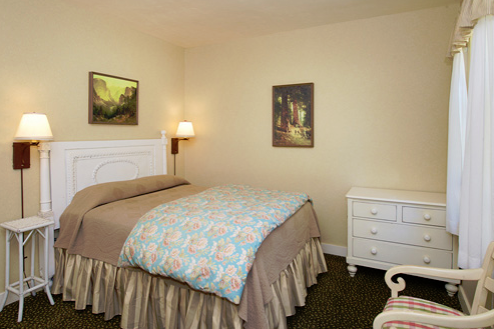 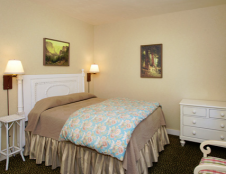 Located in the Wawona area of Yosemite National Park, Big Trees Lodge is just 45 minutes from the valley floor and whether you are visiting Mariposa Grove, home to the famous Grizzly Giant and California Tunnel Tree, or playing in the powder at Badger Pass Ski Area in the winter, you'll find that Big Trees Lodge is ideally situated near many sites and activities and is the perfect base for your Yosemite National Park experience. 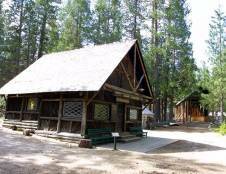 Also located at or nearby the lodge are hiking trails to Chilnualna Falls, horseback riding stables, a nine-hole golf course, and a swimming pool. 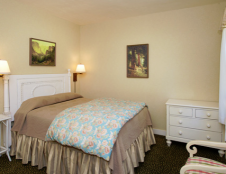 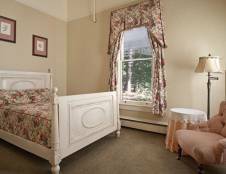 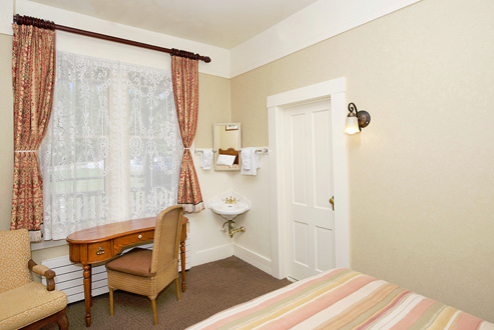 This National Historic Landmark and Victorian style hotel features 50 standard hotel rooms with private bathrooms and 54 standard hotel rooms with shared bathrooms dispersed across the property in multiple charming buildings. 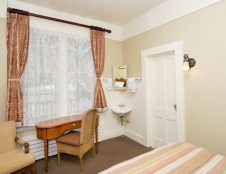 You'll find that the grounds at Big Trees Lodge are lush with greenery and surrounding forest and much quieter and more serene than other areas of the park making this a great option for those looking for a peaceful retreat. 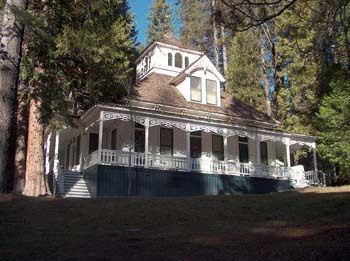 In the evenings, guests can enjoy live piano music in the lounge and open for breakfast, lunch and dinner is the Big Trees Lodge Dining Room. 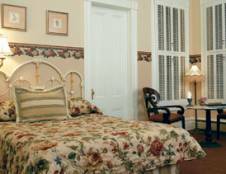 This beautiful restaurant embraces an authentic Victorian-era ambiance with its bright, multi-pane windows, hand-painted lamps and summertime veranda. 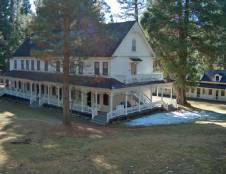 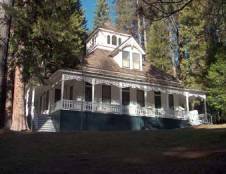 Other features of this lodge include summer barbecues, Pioneer Yosemite History Center, grand verandas overlooking the fountain, warm, inviting fireplace, sunroom, manicured lawns ideal for events and gatherings and evening musical performances. 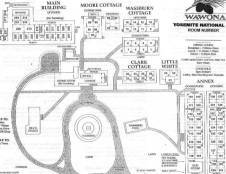 Because of its high demand, Big Trees Lodge sells out far in advance so please plan to book your rooms 10-12 months in advance.